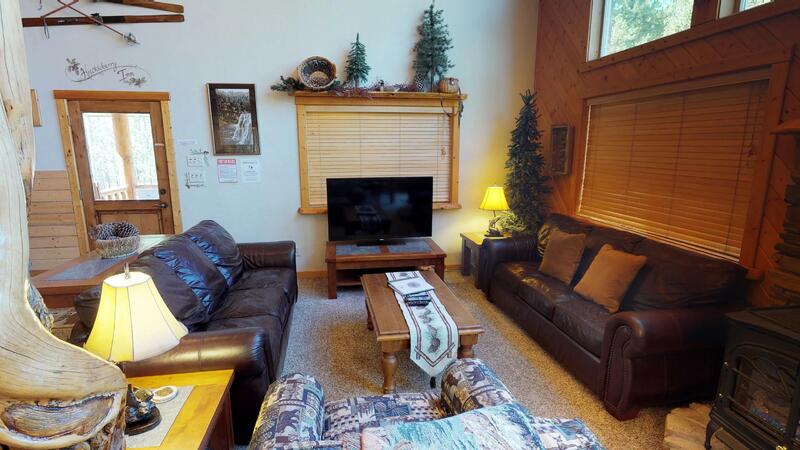 Perfect for small to medium sized groups who need an escape from the city to beautiful mountain country. 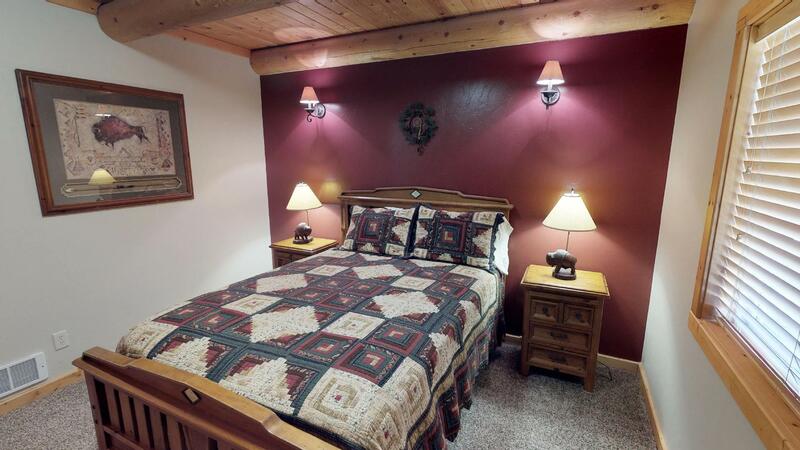 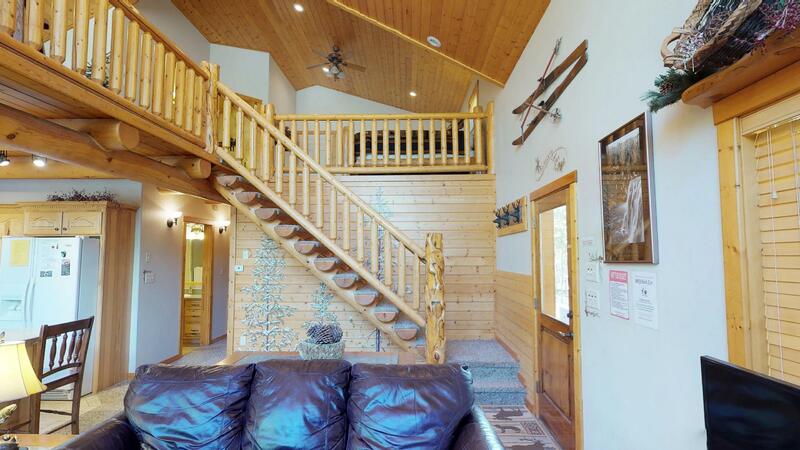 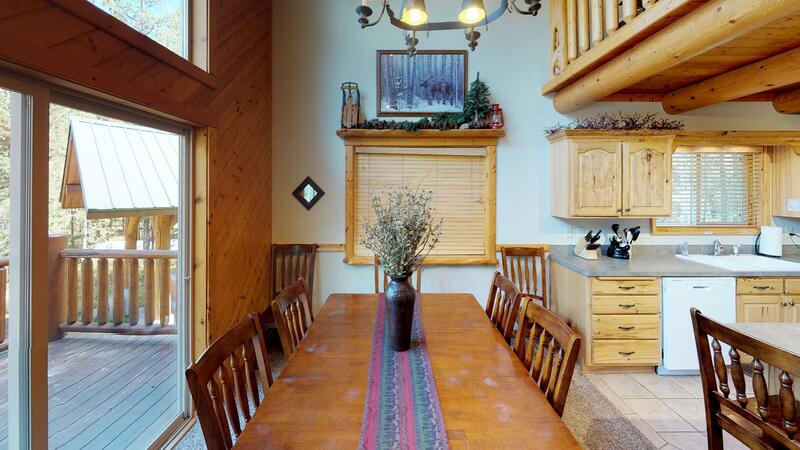 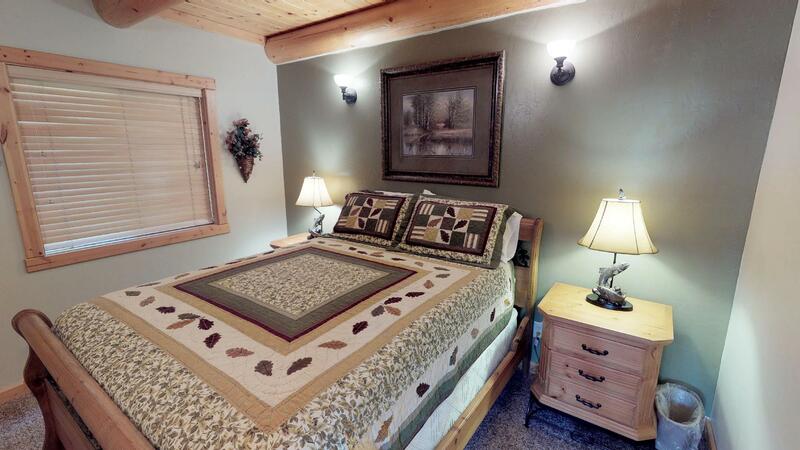 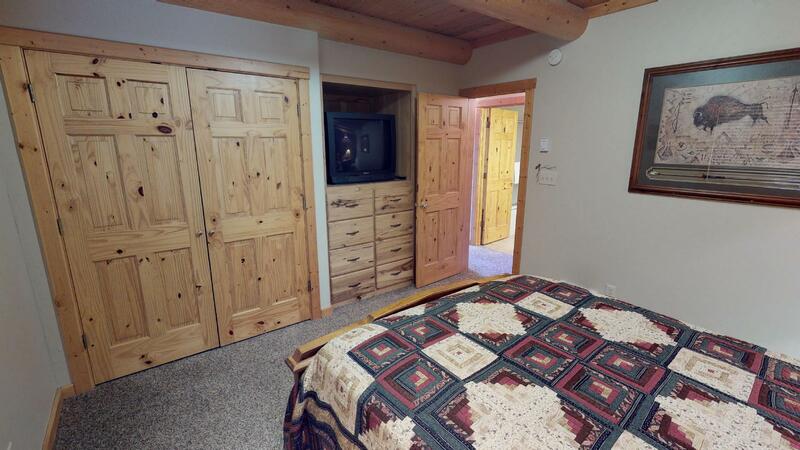 Huckleberry Inn located on a Private wooded lot nestled in the Targhee National Forest. 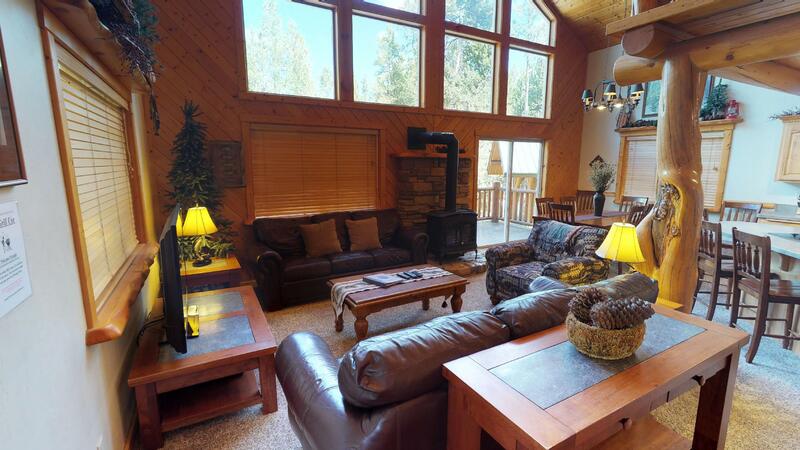 The home offers the feeling of seclusion yet conveniently located close to miles of ATV trails, restaurants and gas stations. 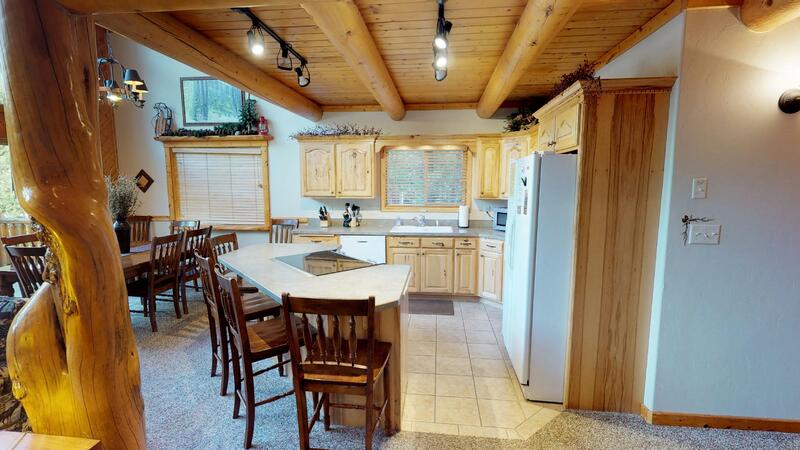 Bring your ATV's, this attractive and rustic cabin is located towards the base of Sawtelle Mountain, a popular adventure destination. 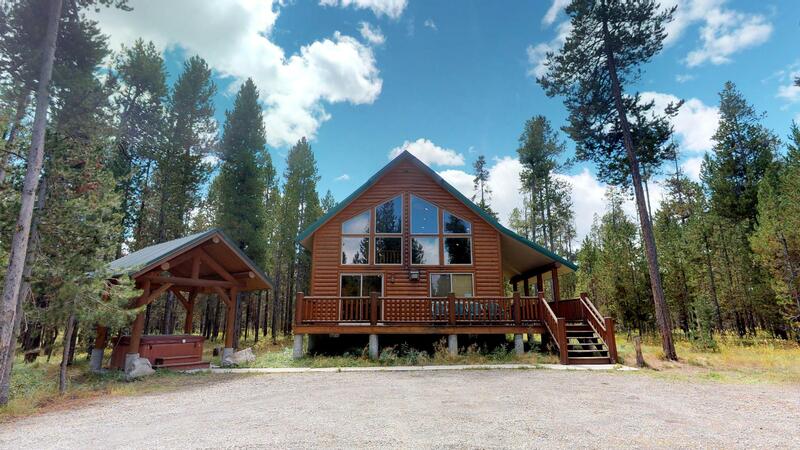 Huckleberry Inn is a short 20 minute scenic drive to West Yellowstone, Montana. 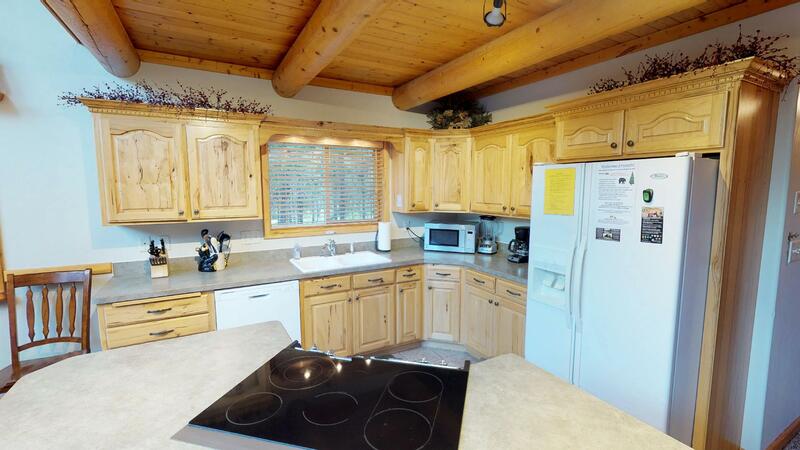 The kitchen is fully equipped with all the amenities of home to make home-cooked meals on vacation. 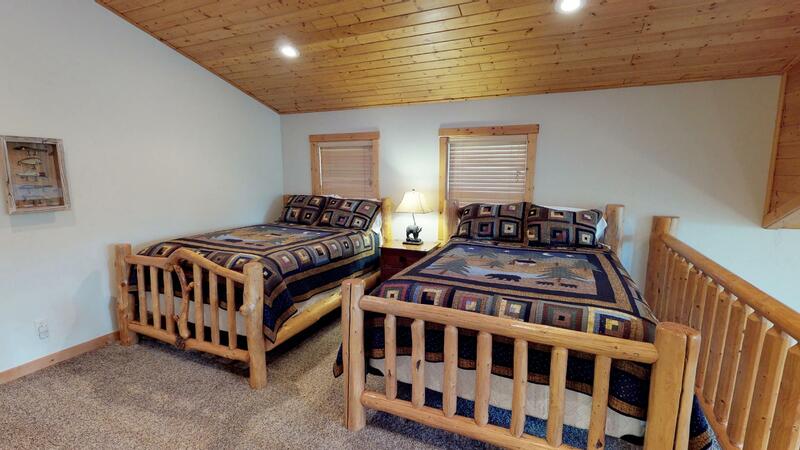 On the main level there's two private bedrooms with a queen bed along with a full size shared bathroom. 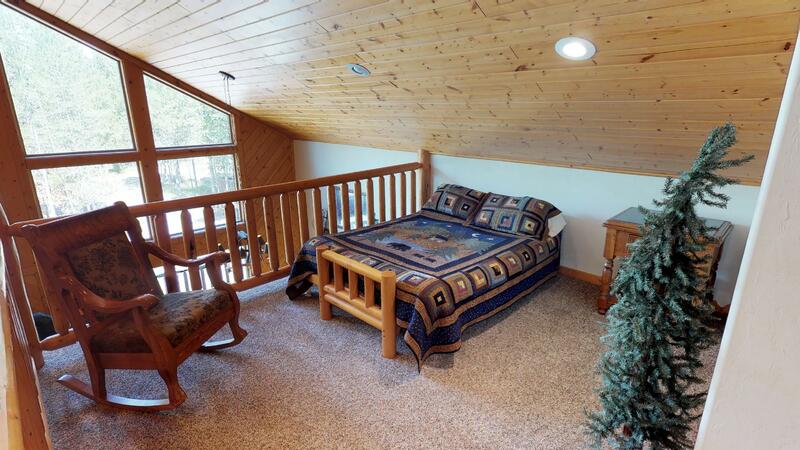 Upstairs has one bedroom with a queen bed, a full size shared bathroom and 3 queen beds in the loft. 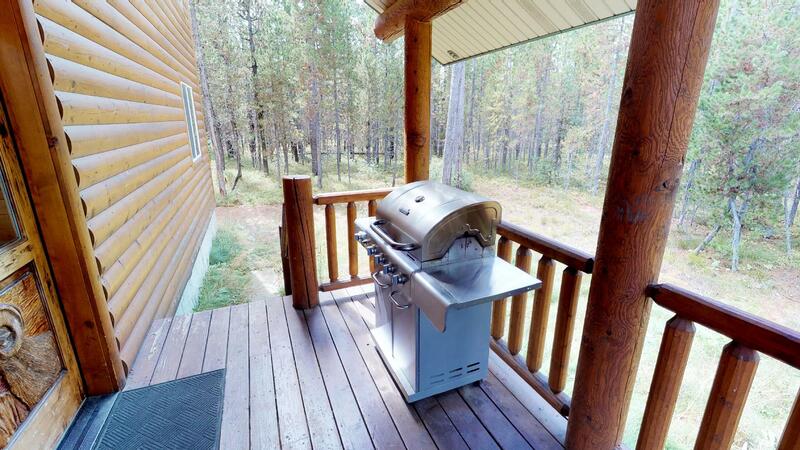 A bbq grill is available for outdoor cooking so don't forget to bring your favorite steaks or kabobs, we'll provide the propane! 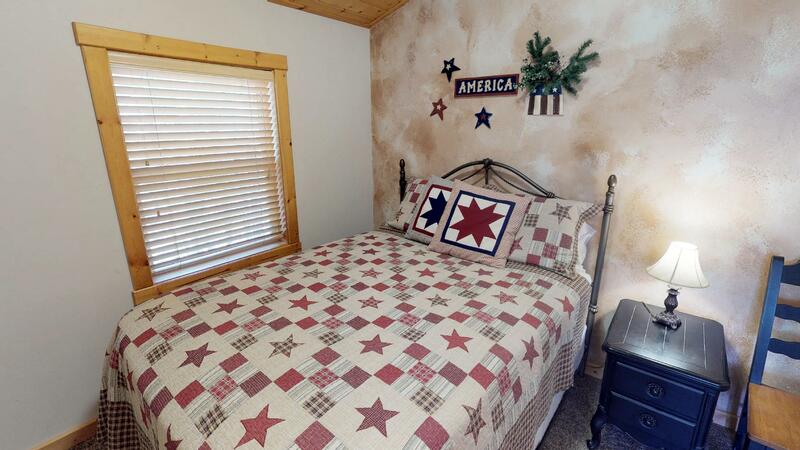 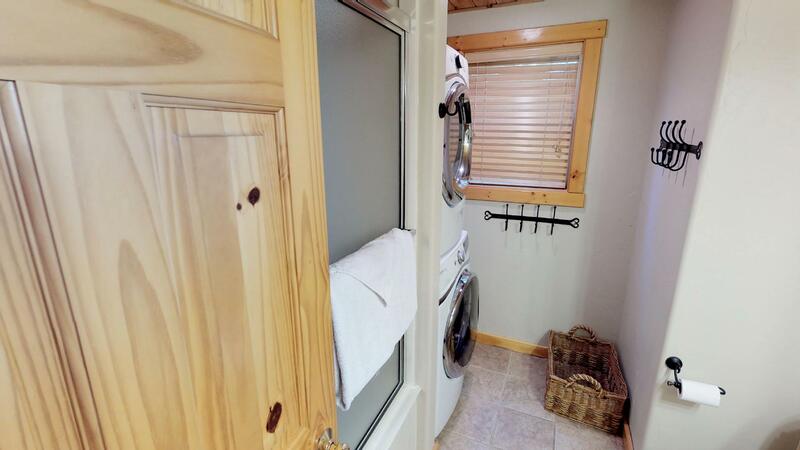 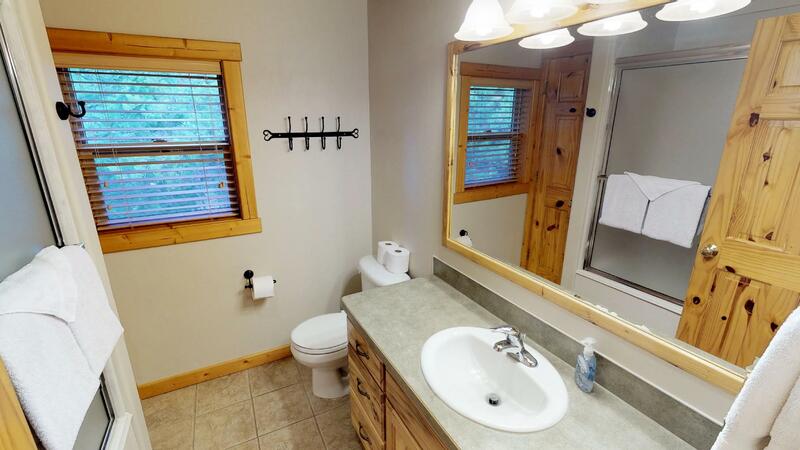 The cabin is equipped with satellite TV, internet access and a private hot tub. 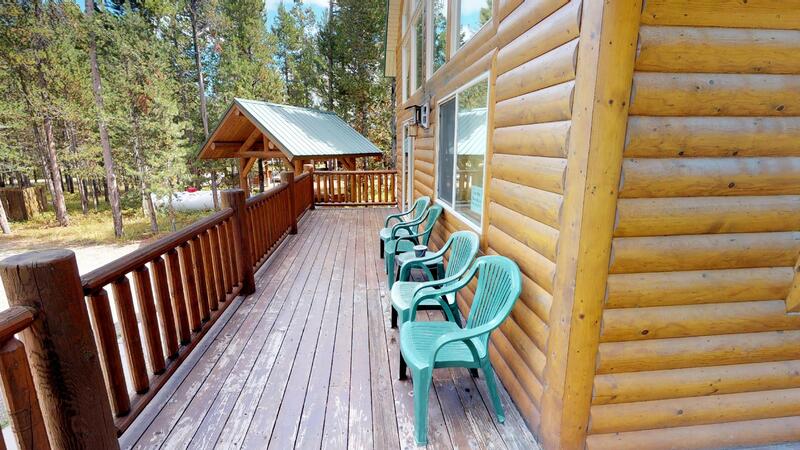 Enjoy the beauty of nature and come relax on our wrap around deck. 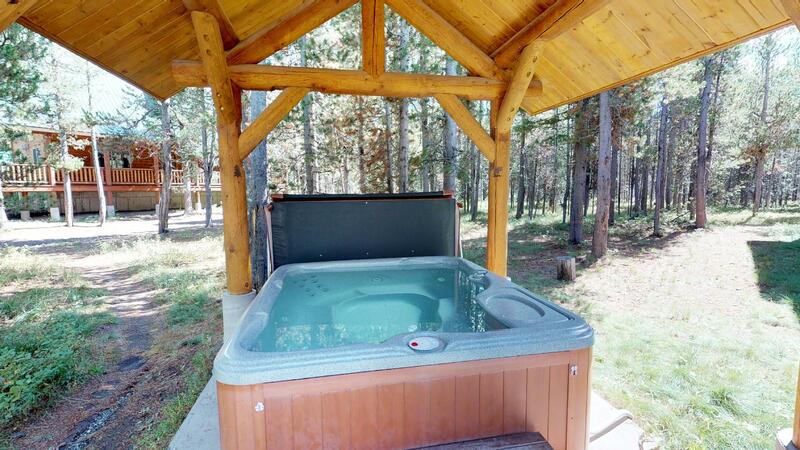 Don't forget to bring your swim suits to soak in the hot tub after a long day of adventuring! 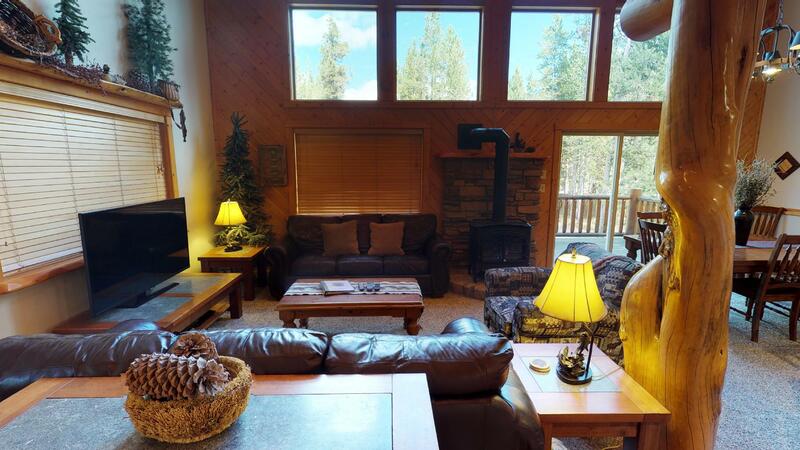 Huckleberry Inn is located in a great area close to trails to Two Top or Sawtelle Mountain. 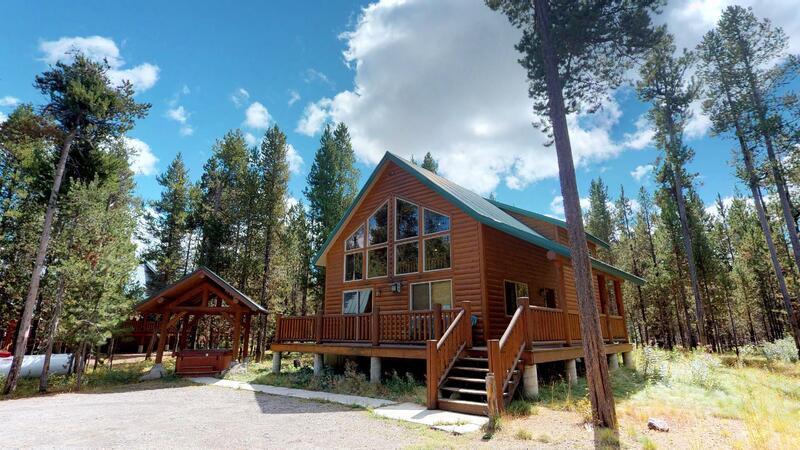 Bring your own ATVs or rent them at High Mountain Adventures just down the road. 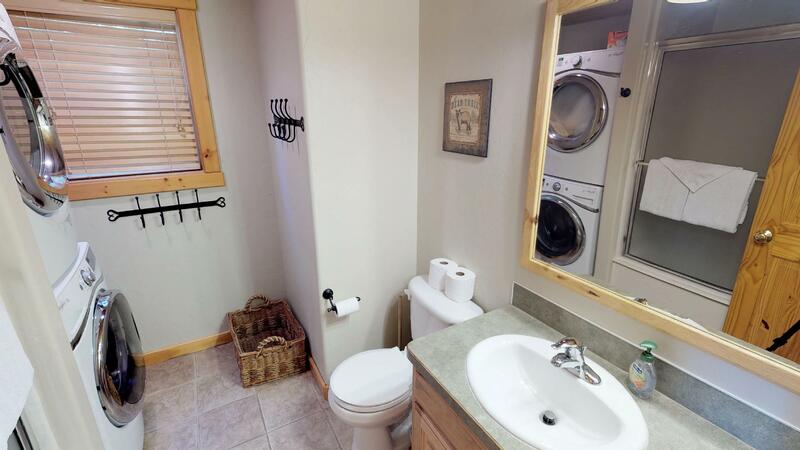 Full kitchen, washer/dryer in Full Bathroom.